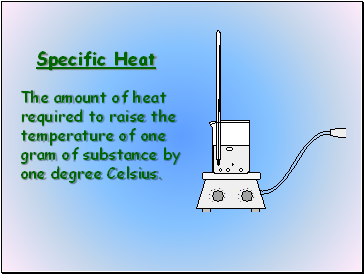 The first image taken by humans of the whole Earth. 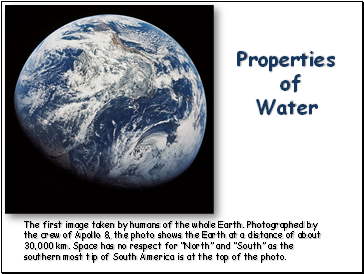 Photographed by the crew of Apollo 8, the photo shows the Earth at a distance of about 30,000 km. 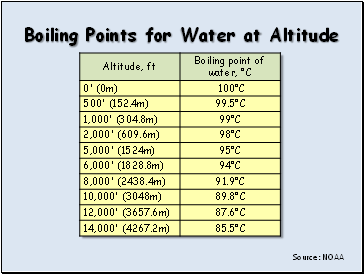 Space has no respect for “North” and “South” as the southern most tip of South America is at the top of the photo. 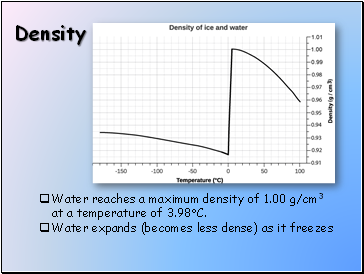 Water reaches a maximum density of 1.00 g/cm3 at a temperature of 3.98C. 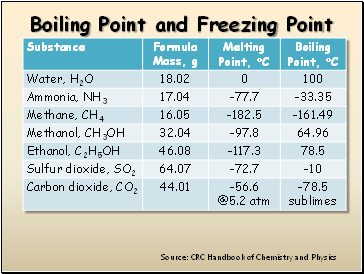 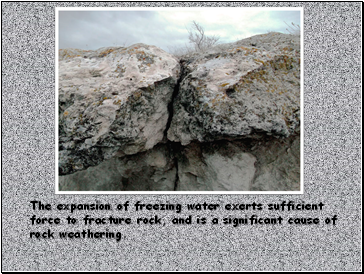 The expansion of freezing water exerts sufficient force to fracture rock, and is a significant cause of rock weathering. 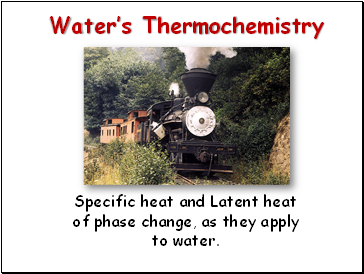 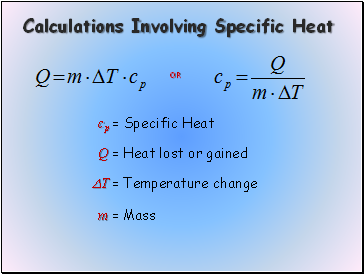 Specific heat and Latent heat of phase change, as they apply to water. 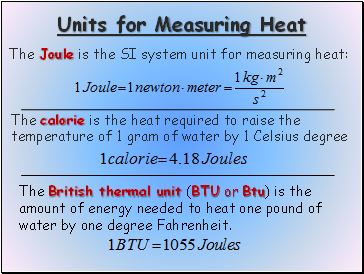 The British thermal unit (BTU or Btu) is the amount of energy needed to heat one pound of water by one degree Fahrenheit. 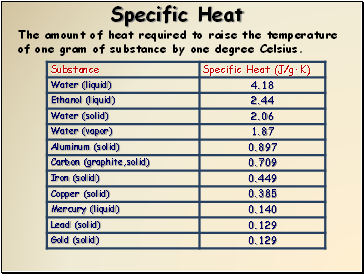 The amount of heat required to raise the temperature of one gram of substance by one degree Celsius. 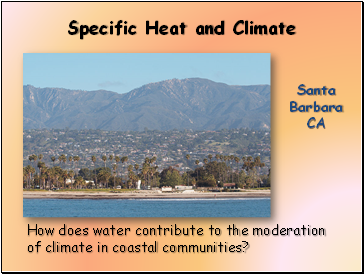 How does water contribute to the moderation of climate in coastal communities? 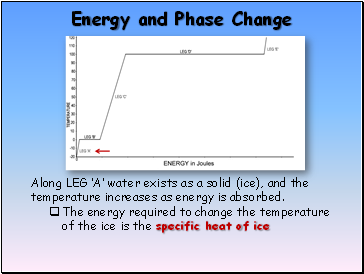 Along LEG ‘A’ water exists as a solid (ice), and the temperature increases as energy is absorbed.